Are you in a hunt for an impressive sneaker that will look good for your casual wear, while enjoying with its superb comfort level? If you are, then the new Jordan After Game II suits your need as Jordan Brand is set to release a new colorway of the kick this May. 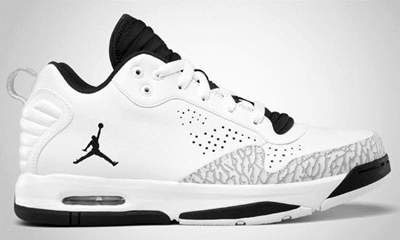 The silhouette will be coming out in a white/black colorway, which is arguably the simplest edition of this shoe. Make no mistake about it. Despite the simplicity of this new release from Jordan Brand, this new Jordan After Game II is expected to rock the market!